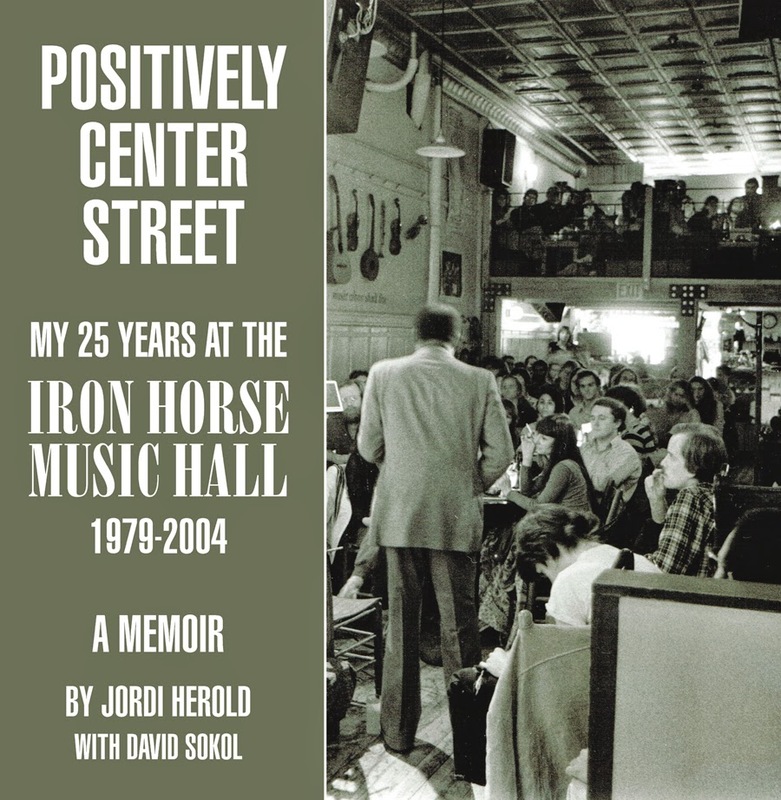 When retired music impresario Jordi Herold contacted longtime music writer and national magazine editor David Sokol to help chronicle the Iron Horse’s first 25 years, little did he think that seven years later, the project would finally take shape in the form of a full-color 164-page book. In Positively Center Street, a richly illustrated memoir, Herold—who owned the beloved, still-thriving club from 1979 through 1993 and then programmed it from 1995 to 2004—details some of his most memorable experiences at the Northampton, MA club that played a vital role in the booming cultural expansion and renaissance of this once-quiet college town. Positively Center Street chronicles Herold’s early love of music—growing up in a home where the words “Flood The House with Music,” in block capital letters, hung over the kitchen sink—and his initial vision for a coffeehouse, inspired by a trip to London shortly after graduating college. From its backstory detailing the origins of the club’s name to the inauspicious “grand opening” on February 24, 1979, the book begins by taking readers behind the scenes, inside the room that would grow from a 60-seat coffeehouse into a 170-seat music hall, all the while presenting some of the best-known musicians and comedians in the world. During Herold’s tenure, first as club owner and then programmer, more than 8,500 shows graced the Iron Horse stage. Positively Center Street is packed full of stories recalling the joys and tribulations of running a club that doubled as a restaurant. And along the way, there are growing pains and countless evenings of on-stage magic and off-stage craziness. Beginning with the club’s first big-name act (Dave Van Ronk) and growing with shows by future stars (Suzanne Vega, Shawn Colvin, and Mary Chapin Carpenter, to name but a few), the club quickly took on a life of its own. Herold colorfully tells of appearances by blues legends Willie Dixon and Albert Collins, gonzo journalist Hunter S. Thompson, British folk-rockers Fairport Convention, and jazz greats Stan Getz, Freddie Hubbard, Archie Shepp, and Frank Morgan as if they happened yesterday. And the list is endless.